The Oxbridge rowers weren’t the only ones racing yesterday. Goats Hamish and Hugo, representing Oxford and Cambridge, competed in the high-stake annual Goat race to be crowned goat race champion. In the closely-fought contest, Hamish, representing Oxford, emerged triumphant. With tickets for this year’s event being sold out, demand to see these goats go horn to horn was high. 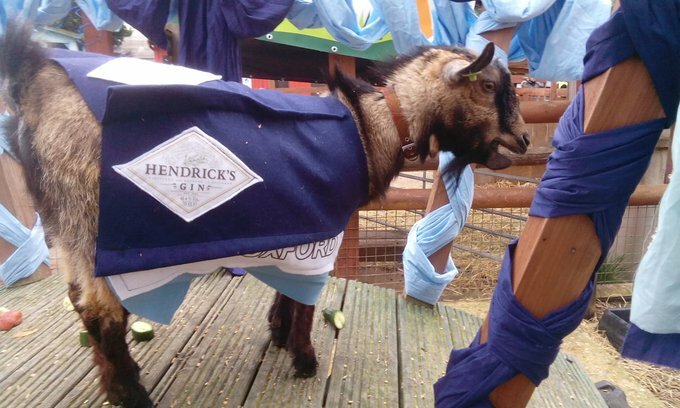 The sense of pride felt by Oxford University students following Hamish’s victory was clear, with one student with the twitter account @eloiseastark tweeting “We may have lost the boat races but Oxford won the Oxford-Cambridge GOAT race today!”. The event is now in its eleventh year and takes place at Spitalfields City Farm in London. In the run up to the big race, live music, food and other entertainment was offered to keep spectators entertained. An afterparty was also held.